Enrollment has long since been suspended, and both students and faculty have come to terms with seeing the curtain close on the yeshiva in Kibbutz Ein-Tzurim. Considered the flagship rabbinical school of the religious kibbutz movement, the decision to close down the yeshiva was not an easy one. 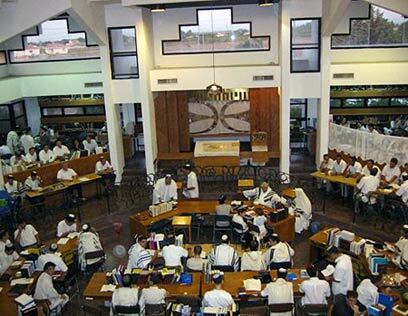 The yeshiva was still up and running for the beginning of the Jewish academic year, its halls home mostly to alumni summoned to help maintain the synagogue. But after the final prayers are said on Yom Kippur this Thursday evening, its gates will be closed for good. The invitation circulated amongst the alumni said that although "we fervently desire to go on sitting in our house of worship, it is not to be. Now, before we lock the doors, we seek to gather the congregation for an evening of studying in the finest tradition of our yeshiva. This evening will give sound to the yeshiva's special voice, a voice that will resonate even after the gates are closed." The first 'Shiluv' (integrated) yeshiva opened in 1975, and was aimed at educating the residents of the religious kibbutzim located in southern Israel. 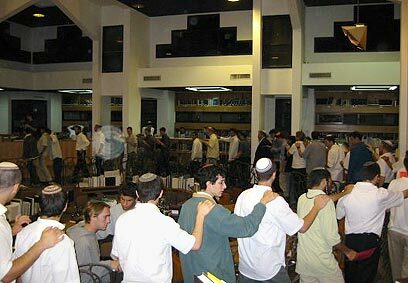 When the yeshiva was moved to Ein-Tzurim, enrollment was opened to the general public. 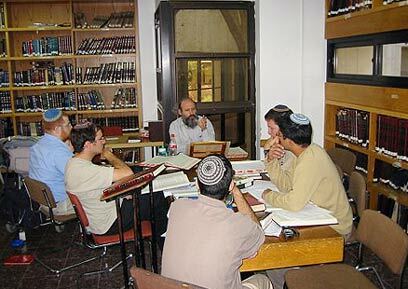 The yeshiva interweaves traditional rabbinical studies with an academic, post-modern approach. Its student body and faculty largely hold moderate political views. As ardent believers in combining 'Torah and work,' the yeshiva founders encourage military service and integration into all fields of Israel's society. A sister yeshiva was founded in 1993 in another religious kibbutz - Ma'ale Gilboa. But over the past few years enrollment has plummeted, casting a shadow of doubt on its future. The proliferation of hesder yeshivas and pre-army prep institutions (mechinot) both contributed to the loss of interest in the yeshiva's once unique program. Last year the yeshiva tried to limit its operations, and budget, cutting loose several prominent teachers, including yeshiva head Rabbi Yoel Ben-Nun. But as the new school year approached, it was decided not to enroll new students. Rabbi Aviya HaCohen, who along with Rabbi Yoel Karchmer led the yeshiva through its lean year, told Ynet: "There are many other good places, but the closing of 'Shiluv' is a mark of disgrace for the religious Left." HaCohen spoke of the yeshiva's singularity, the only one of its kind open to those who identify with the Left. "I'm not talking about symposiums, I'm talking about people who study and love the Torah. Many people found their spiritual home here, and the new reality has literally brought many to tears," he said. As for the root causes that led to the crisis, HaCohen too cites the loss of the yeshiva's uniqueness once the prep institutes opened. "The other schools are doing a wonderful job and in a way they have salvaged this generation. But we were a proper yeshiva, we were the best of the best." See all talkbacks "Swan song for kibbutz yeshiva "